Five killings this summer involving couples at Fort Bragg were probably due to existing marital problems and the stress of separation while soldiers are away on duty, Army investigators said Thursday. But the investigators also said military culture discourages soldiers and their families from seeking help when domestic problems can potentially be resolved. The conclusions were in the summary of a report from a 19-member team, including mental and physical health workers and military clergy, who visited the base in August and September. The team also said the anti-malaria drug Lariam, given to troops sent overseas, was unlikely to have been at fault. Side effects of the drug, also known as mefloquine, have been known to include psychotic episodes. 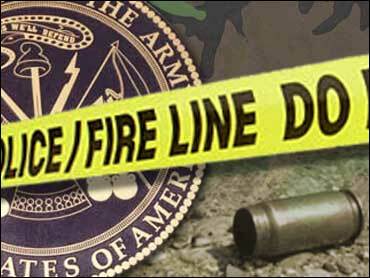 Authorities say four Fort Bragg soldiers killed their wives in June and July. Two of the men committed suicide and the other two are charged with murder. Three of those cases involved Special Operations soldiers who had served in Afghanistan. In a fifth case, a woman is charged with killing her husband, a Special Forces major. Investigators interviewed military leaders, doctors, leaders of family support groups, military and civilian law enforcement, and civilian public health officials. They also conducted focus groups with soldiers, spouses and other people on the post. The report found family support groups were inconsistent in the help they provided and the Army's program for soldiers returning from deployment also varied from unit to unit. The full report was to be released later Thursday. Soldiers from Fort Bragg, the headquarters of the 82nd Airborne Division and the Army's John F. Kennedy Special Warfare Center and School, have figured prominently in ground operations in Afghanistan. About 45,000 soldiers are stationed at Fort Bragg and about 5,000 families live on base. Another 21,000 military families live in nearby communities. Local police have said the couples involved in each of the slayings had a history of marital problems. After the slayings, the military announced that soldiers will be screened for psychological problems before they leave Afghanistan. Commanders will be ordered to watch out for symptoms of depression and anxiety among their troops. Officials also are developing an intervention policy to protect spouses from domestic violence.